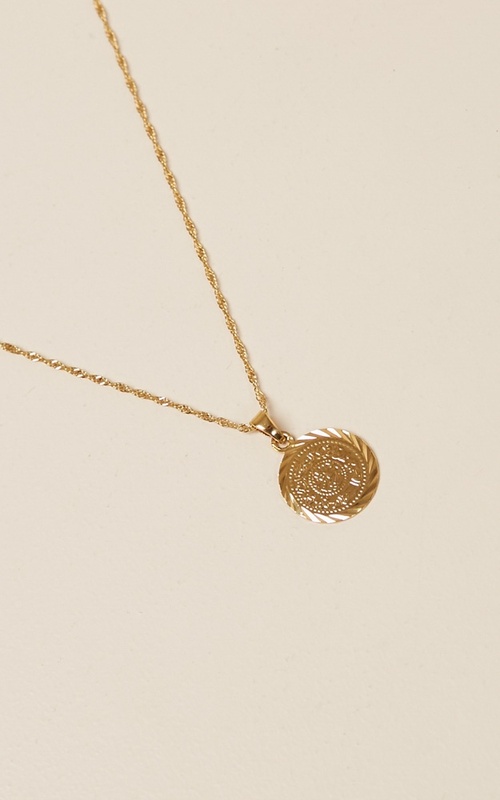 Show off your style with the Like I Do coin necklace in gold! Featuring Gold hardware, these drop necklace are perfect for adding to your casual occasion outfit. - Use Polishing Cloth To Maintain Finish"
it looks quite cheap and costume like and the chain was too short in my opinion.